* To help people practice spirituality without becoming a victim of black magic or superstitions. We reserve the right, in our sole discretion, to terminate, change, suspend or discontinue any aspect of the Site, including, but not limited to, content, features or hours of availability. We may also impose limits on certain features of the Site or restrict your access to part of or the entire Site without notice. We may suspend or terminate your member account or your use of the Site at any time, at our discretion without assigning any reason whatsoever. You accept and acknowledge that the decision to do so will be final and binding upon you without any cause for grievance. This Web site may contain typographical errors or inaccuracies and may not be complete or current. The Site therefore reserves the right to correct any errors, inaccuracies or omissions and to change or update information at any time without any prior notice. Please note that such errors, inaccuracies or omissions may relate to (but not be limited to) articles on the Site and the information is subject to change without notice. The contents of the site are uploaded in good faith, expressly with a view to educate people and without any intention whatsoever to hurt any theology, a person or a group of persons or to create hatred or enmity between people or to oppose scientific temperament. The content on this website, including the services offered are provided in good faith, without any prejudice to any person, culture, religion or nationality and with no intention to create any disharmony, antagonism, hatred or ill-will between any fractions of society or to create, promote or propagate any kind of superstition or blind faith.Some of the content published on the site may be a part of sprititual/religious researches. By such publication the Site does not offer an alternative to medical sciences and you are always requested and directed to study modern science and make proper decisions for your own purpose. The results of following any of the content may vary from person to person. The person following any of the content bears the liability of the outcomes. Any reactions based on the contents, forms and depictions, giving rise to any actions will not make this Site liable in any law, criminal, civil or otherwise and/or in torts or impliedly anyway. In these terms and conditions, “user generated content” means material (including without limitation text, images, audio material, video material and audio-visual material) that you submit to our website, for whatever purpose. Pages marked with ‘Beta’ indicate that the pages are still under testing. This stage of software deployment is also known as external test. This stage of software release on our website is generally after extensive internal testing. We will only introduce functionality into external test after it has undergone internal testing and we are reasonably satisfied with its reliability. We invite users to help us uncover any bugs or inadequacies in the functionality. During the external test or beta-phase Sanatan Sanstha reserves the right to change or amend functionality and is not responsible for any issues or problems arising from the functionality in a beta phase without any cause for grievance to you. Copyright © Sanatan Sanstha 2012, All rights are jointly reserved with Sanatan Sanstha. Sanatan Sanstha is, unless otherwise stated, the owner and possessor of all copyrights, trademarks and other all other intellectual proprietary rights in the Site and its contents. Any form of reproduction of the Site or any part thereof is prohibited other than in accordance with the law. All logos, brands, marks headings, labels, names, signatures, numerals, shapes, pictures, drawings or any combinations thereof, appearing on this Site, except as otherwise noted, are properties either owned, or used under licence, by Sanatan Sanstha and / or its associate entities who feature on this website. Reproduction of part or all of the contents in any form is prohibited, Provided however the Site will have no objection to reproduction in the following manner and no other. 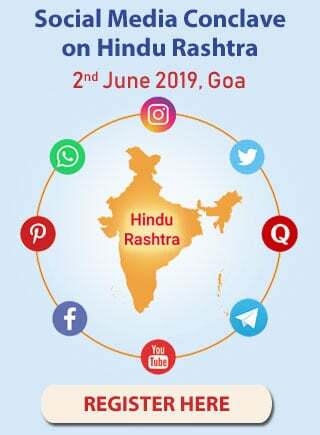 * You shall not reproduce such content from the Site for any form of communication to the public for commercial or any other purposes without prior written permission of Sanatan Sanstha. Any unauthorized use terminates the permission or license granted by the Site. Please contact our editorial team for such permission. To better meet your requirements, do provide us with a clear understanding of how the content is proposed to be used (specific content for which permission is sought, type of media to be communicated through, type of publication, purpose, date(s), etc.). Permissions are granted on a per-item, per-usage basis. Requests for permission should include the article or other text or image that is desired along with the context in and method by which it will be reproduced. Materials used in printed matter require proper attribution, and two copies of the printed piece(s) must be mailed to the address provided to you. * No part of the website shall be recopied to slander, defame or demean Sanatan Sanstha. This also includes any insinuations with regards to reproduced content that demeans or lowers the value of the content of the website. * Pictures and videos obtained from the Site shall not be added to any stock photo/video collection. 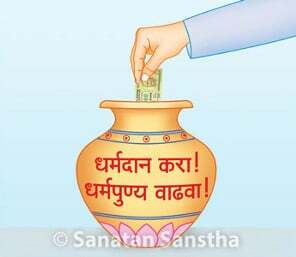 Copyright and credit must be attributed to Sanatan Sanstha each time an image/video is used after prior written permission from Sanatan Sanstha. You may not without our prior written permission use any computer code, data mining software, “robot”, “bot”, “spider”, “scraper” or other automatic device, or program, algorithm or methodology having similar processes or functionality, or any manual process, to monitor or copy any of the web pages, data or content found on this Site or accessed through this Site. Individual or organisational email addresses listed on this site are for the personal use of individuals seeking to contact the listed person concerning Sanatan Sanstha activities. The email addresses may not be used for any other commercial or non-commercial purpose. You shall not engage in the mass downloading of files from this Site without obtaining prior written permission from Sanatan Sanstha; the computer processing power of this Site for purposes other than those permitted above; or flood this Site with electronic traffic designed to slow or stop its operation. The Site, and any content and materials available through the Site, are provided in good faith. Most of the content is obtained through religious scripture or spiritual experiments and we make efforts to verify the fairness of the content that we upload. * All content is provided “as is” and without warranties of any kind, either express or implied. * All users shall rely upon any content, at his own risk, as to costs and consequences thereof. * If, you respond to any of the appeals made, campaigns undertaken on this website, it will be an individual act performed by you in your individual capacity with knowing the consequences and neither the Site nor Sanatan Sanstha will be responsible for them. * Sanatan Sanstha and/or the Site does not warrant that the functions contained in any content or any user generated content or your access to the Site will be uninterrupted or error-free, that any defects will be corrected or that the Site or the server which stores and transmits the content to you are free of viruses or any other harmful components. * Sanatan Sanstha and/or the Site does not warrant or make any representation regarding your access to, or the results of your access to, the Site (including any associated or linked websites) or any content in terms of correctness, accuracy, timeliness, completeness, reliability or otherwise. * You (and not Sanatan Sanstha or the Site) assume the entire cost of any necessary verification, maintenance, repair and/or correction of any relevant content. * To the fullest extent permitted by law, we disclaim all warranties, expressed or implied, including but not limited to the information provided on the website. 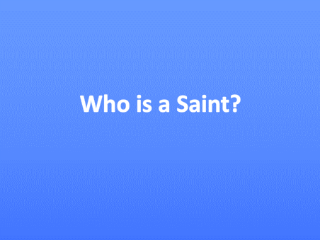 From time to time, the Site may offer suggestions and spiritual advice as an answer to questions posted by you. However it is important to note that the relationship between you and Sanatan Sanstha is not a medical physician-patient relationship or a spiritual healer-client relationship. The healing remedies and advice provided do not cover all diseases, ailments, physical or mental conditions. You should never disregard medical advice or delay in seeking it because of something you have read on this Site. You accept liability of the result or outcome arising out of the application of spiritual remedies. We may provide links to other websites from time to time. These links are provided for your convenience and the terms and conditions of those websites may become applicable to you. Therefore, it is advised to you to read those terms and conditions or such other aspects of those websites beforhand. We do not endorse or take responsibility for the content on such websites, and are not responsible for their availability, and shall not be liable in any way for any loss or damage which you may suffer by using those websites. If you decide to access linked websites you do so at your own risk. Under no circumstances, including, but not limited to, negligence, shall Sanatan Sanstha, the Site, any subsidiary or affiliated organizations be liable for any direct, indirect, incidental, special or consequential damages that result from the use of, or the inability to use, the Sanatan Sanstha materials and website. Without prejudice to the rights and contentions of Sanatan Sanstha, some states and/or jurisdictions do not allow the exclusion or limitation of incidental or consequential damages, so the above exclusion may not apply to you. In the event the foregoing limitation of liability is held to be unenforceable for any reason, then our maximum liability for any of the foregoing types of damages shall be limited to the amount that we receive for the transaction that gave rise to the claim. You specifically acknowledge and agree that the Sanatan Sanstha is not liable for any defamatory, offensive or illegal conduct of any user. If you are dissatisfied, hurt, aggrieved or insulted with any Sanatan Sanstha material, or with any of the Site’s Terms and Conditions, your sole and exclusive remedy is to discontinue using the Site. This agreement is effective until terminated by the Sanatan Sanstha at any time. In the event of termination, you are no longer authorized to access the Site and the restrictions imposed on you with respect to material downloaded from the Site, the disclaimers and limitations set forth in this agreement shall survive.